Mud puddles were Gail's intuitive beginnings. By the age of ten, she was a potter; by fourteen a pottery teacher. To this day Gail loves the mud puddle sensation of wiping her clay covered hands on her jeans. Growing up in an artistic family (architect father, potter mother), Gail received the encouragement, support, and influence that every artist needs in order to develop and persist. Gail Carlson is a recognized Saskatchewan potter who specializes in both production functional pottery and hand-built one-of-a-kind pieces. During her early studies at the University of Saskatchewan, she was a natural at hand-building and sculptural form. This passion - the love of form and play of light - continues in her creative expression today. 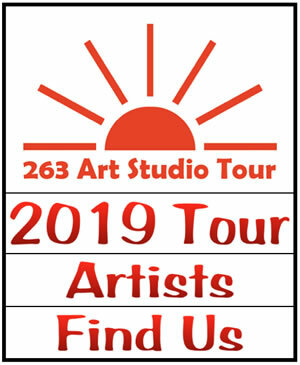 Gail welcomes by-appointment visits outside of the 263 Art Studio Tour dates.